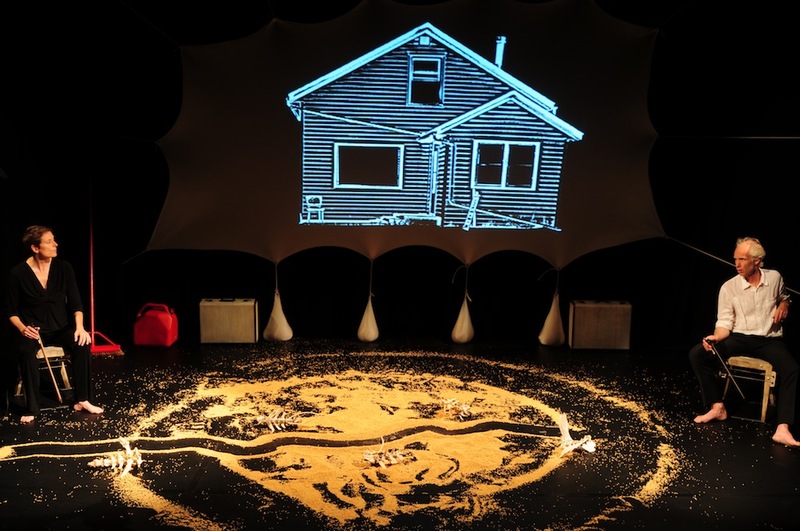 This multi-media performance used video imagery, text, movement and experimental sound. The narrative oscillated between two trajectories: the resolute and audacious settlement of the west, and the restlessness of a middle-aged couple in their home in the BC interior. These two narratives were interconnected and interdependent; the archival material was woven into the genealogy of the couple, linking personal and human histories to their current condition- the dissatisfied urban couple’s need to continue expanding. This was pitched at the Magnetic North Industry Pitch sessions in Kitchener Waterloo and performed at the Vancouver East Cultural Centre in 2010. Special Thanks: Rachel Hare, José Gates, Steve Heimbecker, Stephen Foster, Linda Falkingham, Nancy Holmes, Kenneth Phillips, Ezra Cipes, Daniel Keyes, Anne Fleming, Daniel Macdonald, Richard Wolfe, Lynda Adams, Blake Brooker, Denise Clark, Michael V. Smith, Don Lyons, SSHRC DVI Project and UBC Vancouver. This work was funded by: The Canada Council for the Arts, Faculty of Creative and Critical Studies (UBC Okanagan), SSHRC (Social Sciences and Humanities Research Council), and Workshop West’s Canoe Festival.